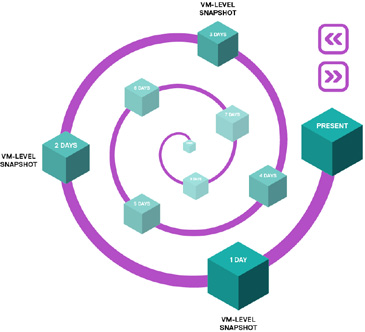 Tintri smart storage operates at the VM level and transforms storage management in a virtual environment by avoiding limitations of traditional storage that operates at a LUN or volume level. SyncVM allows IT and DevOps teams to tackle copy data management & recovery challenges in a significantly faster and more efficient way, reducing operational overhead and storage consumption associated with traditional approaches. Application development teams today experience a slow and inefficient process when trying to refresh their VM-based environments with new production data as it requires copying data, identifying target VMs within the snapshots, and reconfiguring existing VMs to use new data sets. Tintri SyncVM accelerates application development with efficient copy data management, at a VM-level, in minutes, regardless of the VM size and with no loss of performance history. Tintri SyncVM also allows an IT operator to time-travel back and forth between point-intime versions of a VM when the need arises. Tintri SyncVM allows you to travel through time to instantly restore any point-in-time version of a VM. Move back and forth without ever losing snapshot history or performance statistics. And never worry about affecting the snapshots of other VMs. Whether you are rolling back patches or looking for missing VM data, you can travel through time knowing you’ll always end up in the right place. Tintri SyncVM accelerates updates for application development and test teams with efficient copy data management, at a VM-level, in minutes, regardless of the VM size and with no loss of performance history. 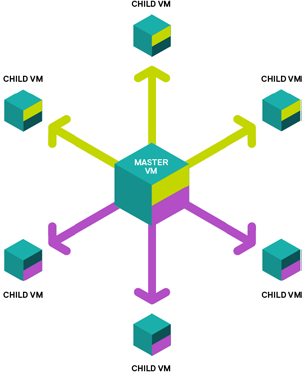 Developers can quickly deploy code changes or data updates from one master VM to multiple child VMs at a vDisk granularity. Imagine cutting hours or even days out of every Agile scrum cycle, or reducing the time required to set up a new testing round from hours to minutes. SyncVM can also work with ReplicateVM to send your snapshots to other VMstores or datacenters and update VMs around the world. That's the power of SyncVM and of storage at the VM level. You can use SyncVM via the Tintri VMstore UI, or leverage our PowerShell and REST APIs to automate processes and save even more time (which you can use for traveling). 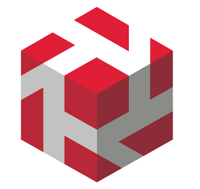 Download the Tintri SyncVM Datasheet (PDF).